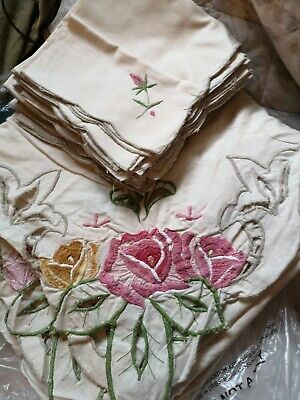 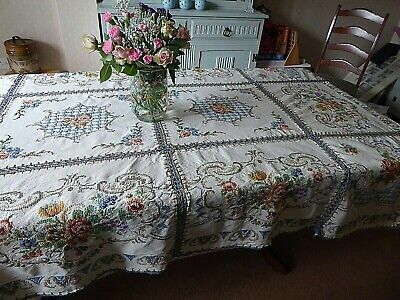 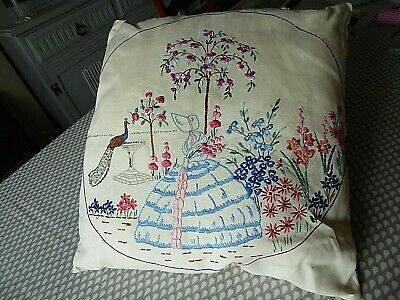 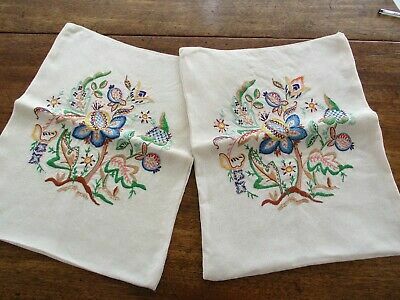 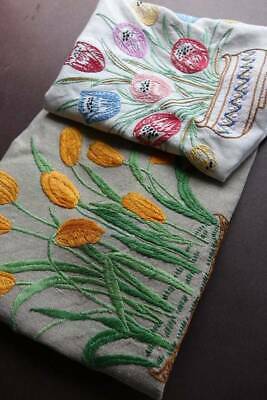 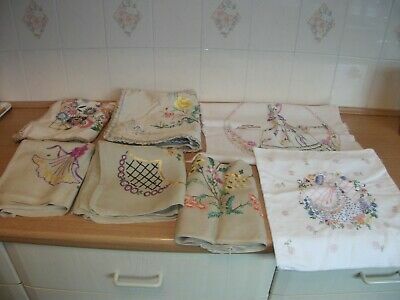 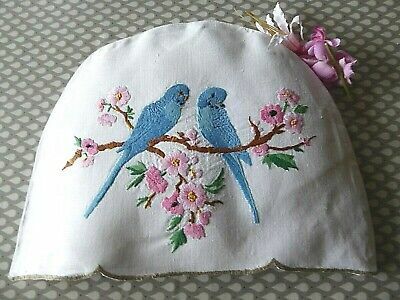 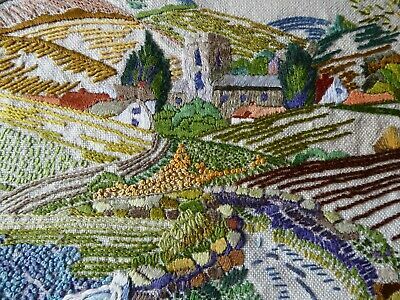 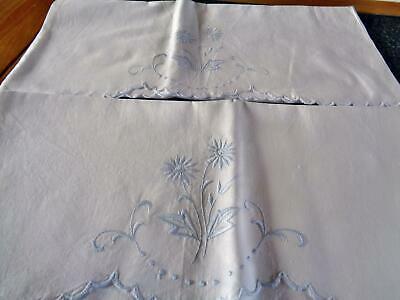 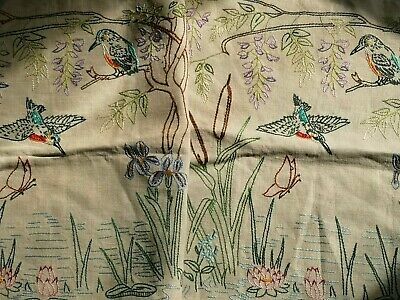 Two (2) vintage Irish linen cushion cover with hand embroidery - tulips. 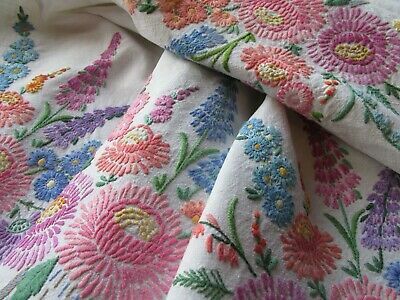 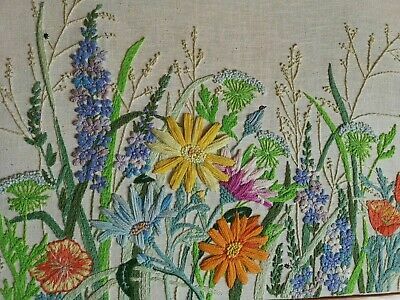 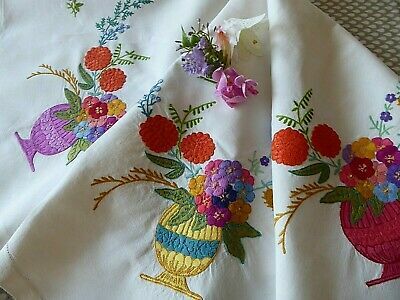 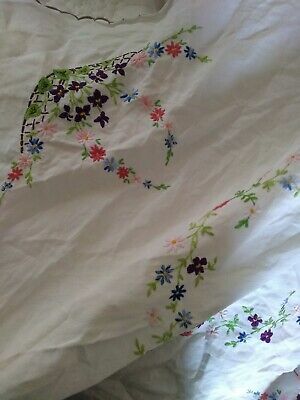 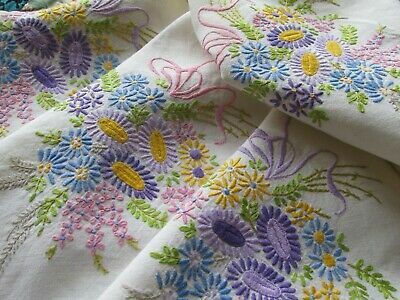 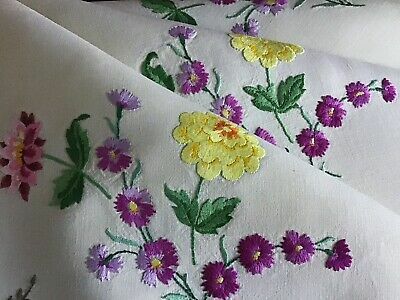 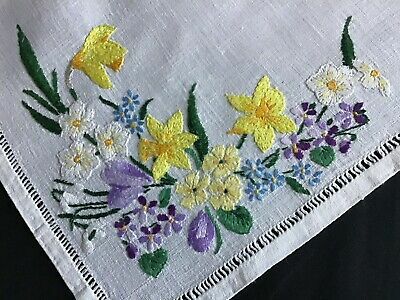 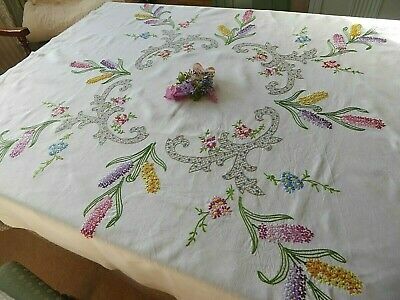 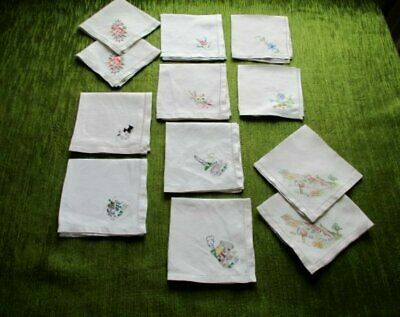 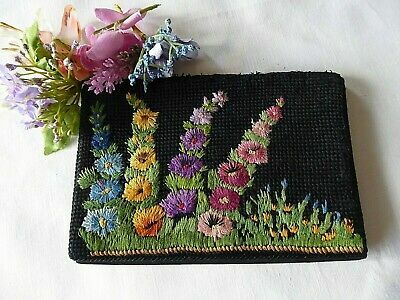 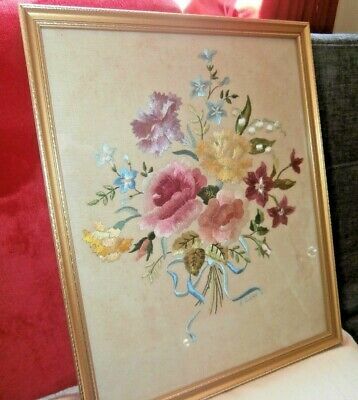 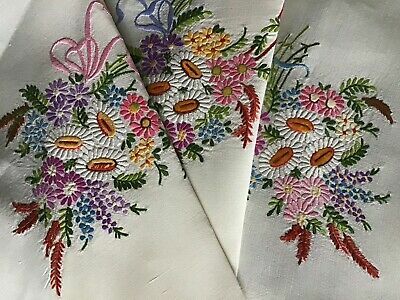 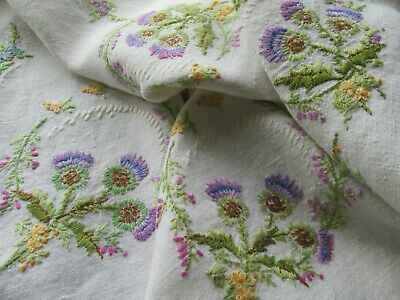 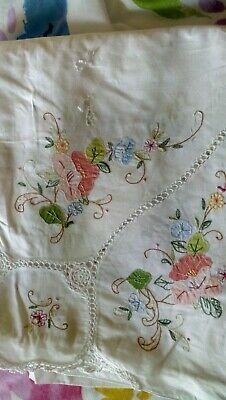 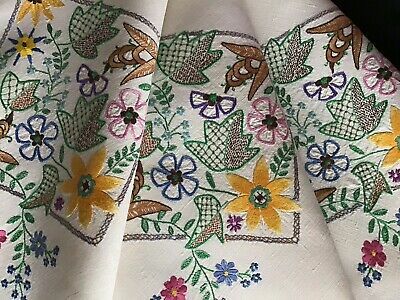 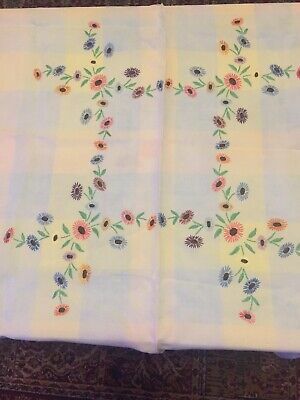 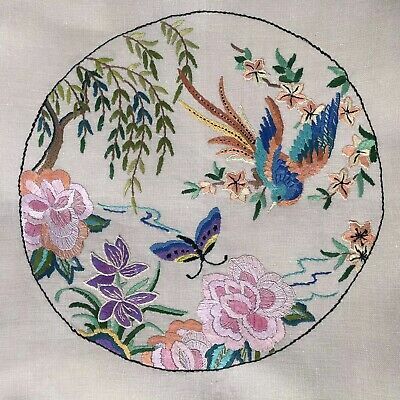 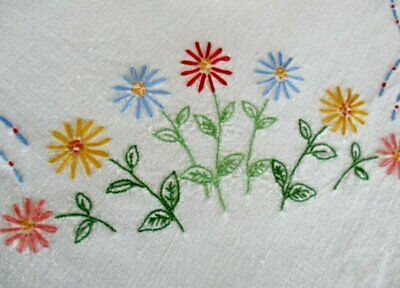 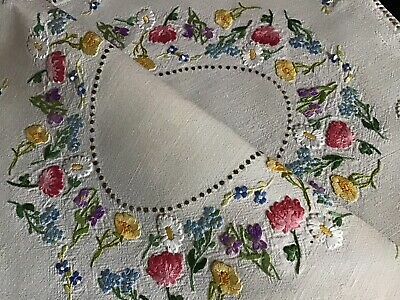 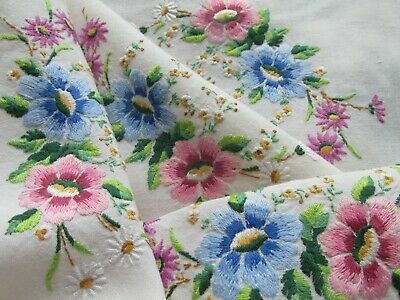 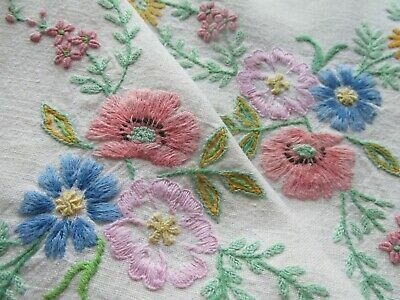 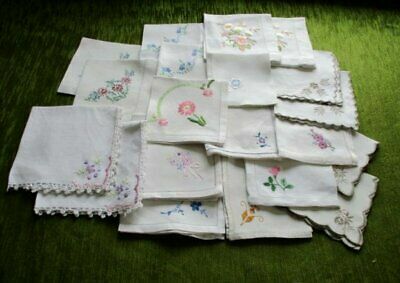 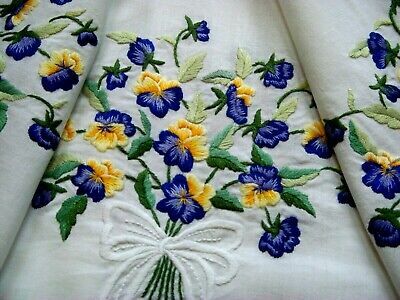 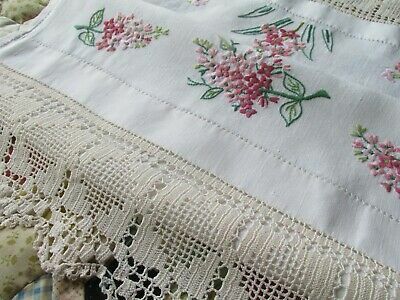 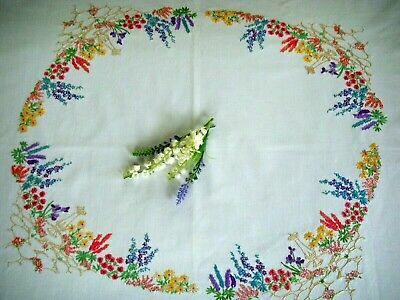 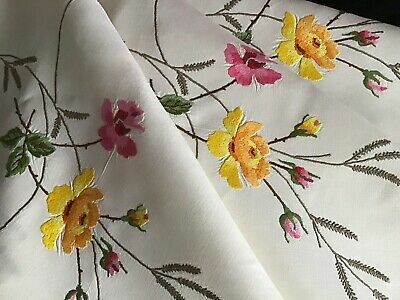 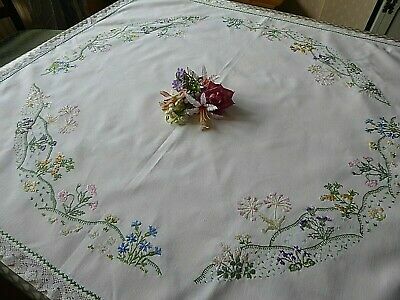 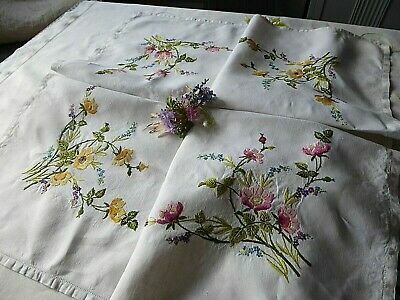 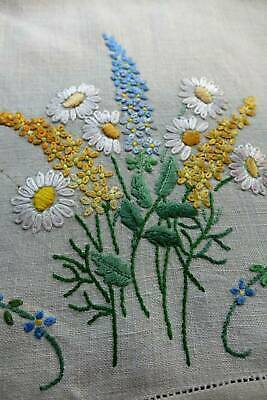 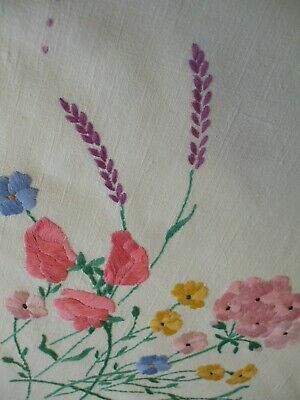 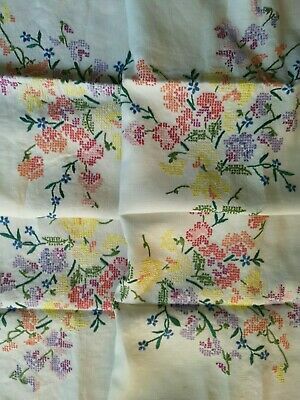 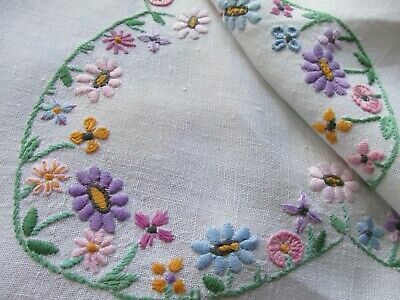 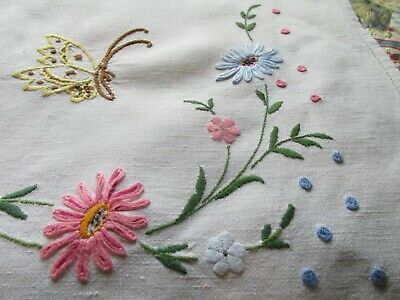 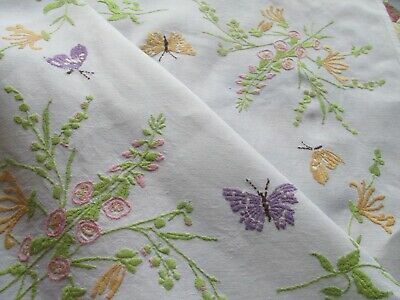 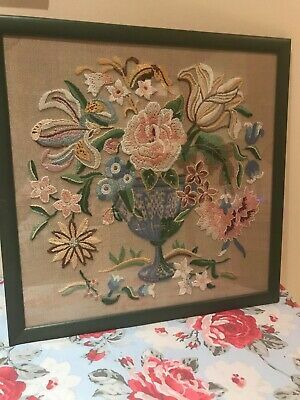 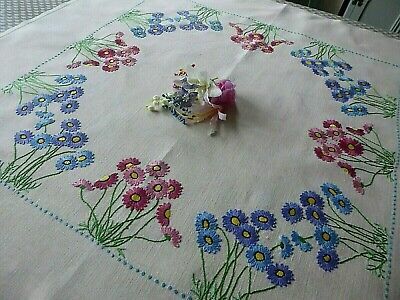 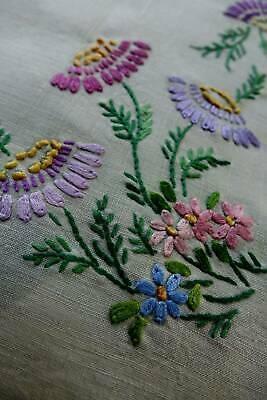 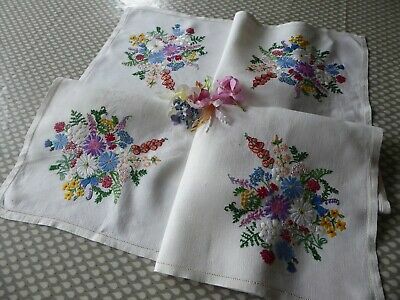 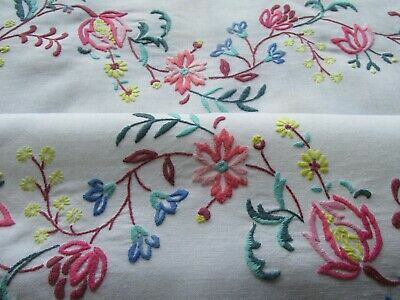 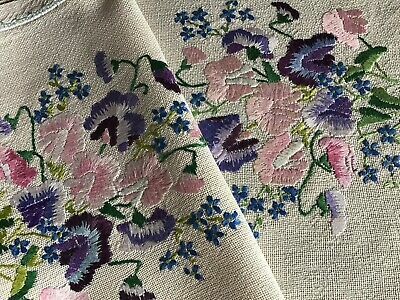 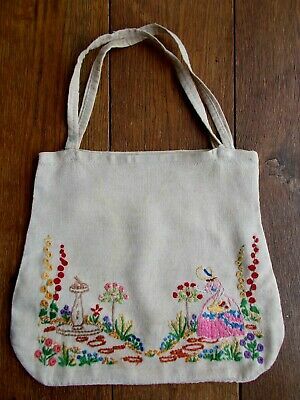 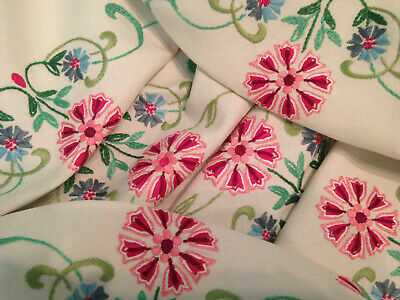 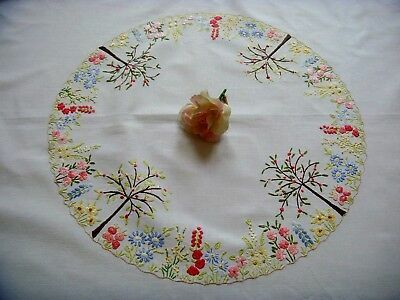 Vintage UNUSED Irish linen hand embroidered topper - Bright Florals. 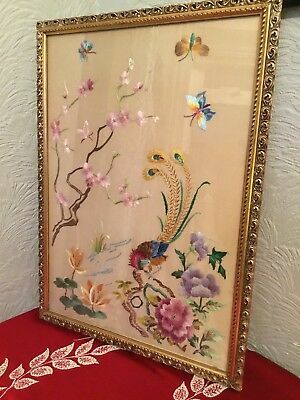 Framed Georgian embroidered silk panel. 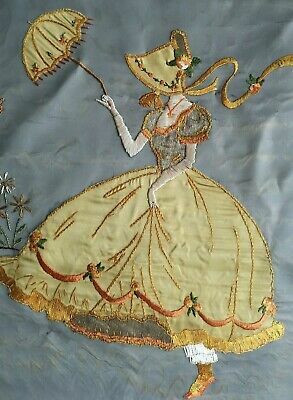 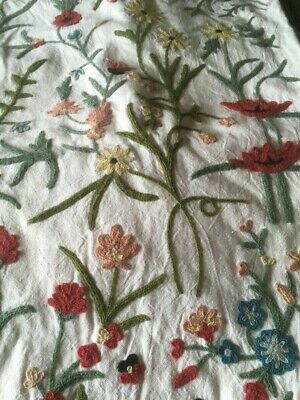 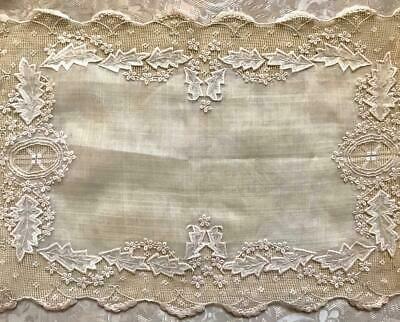 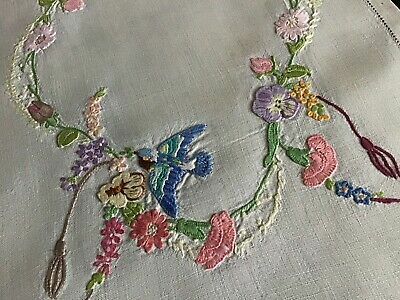 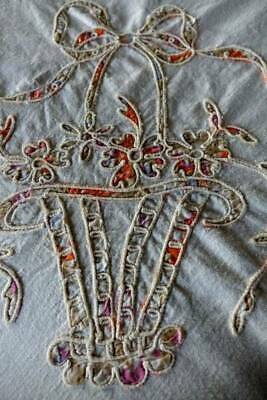 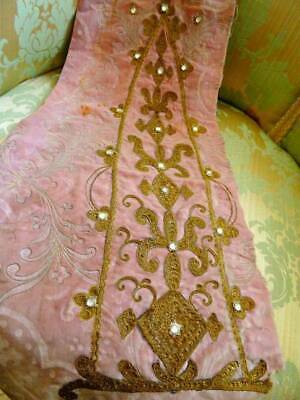 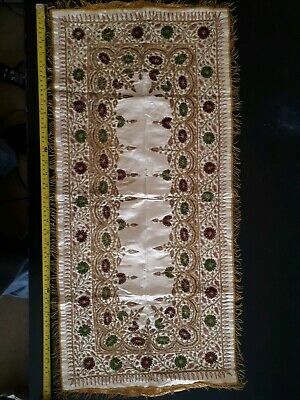 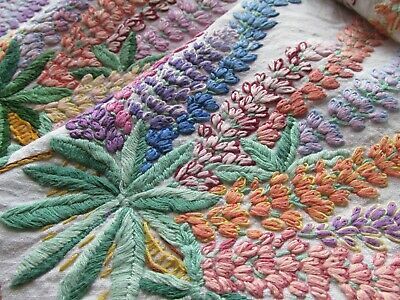 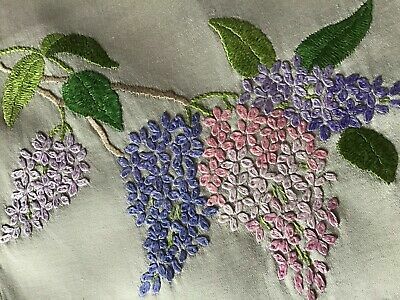 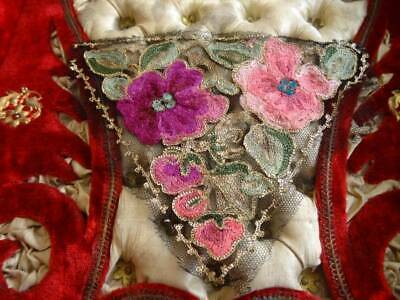 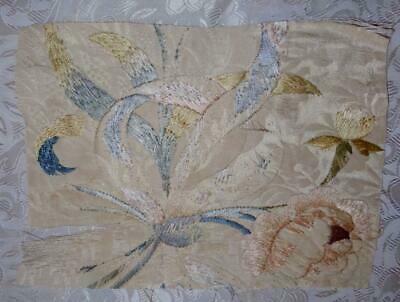 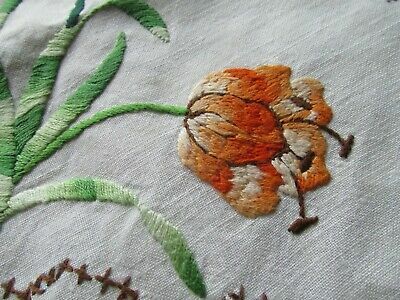 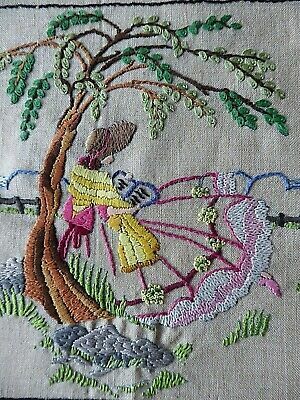 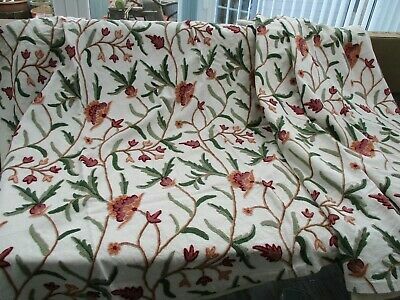 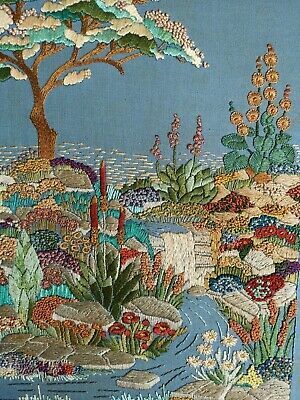 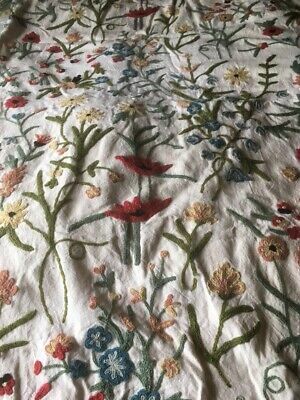 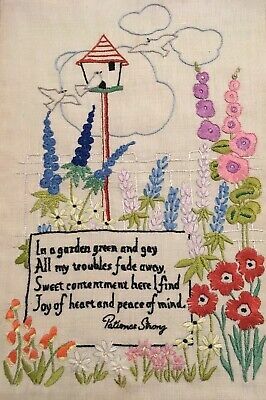 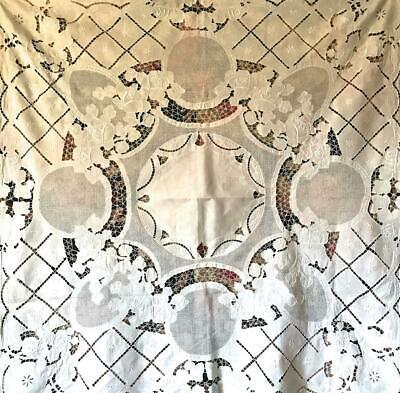 TIMEWORN FRAGMENT 19th CENTURY FRENCH EMBROIDERED SILK 225. 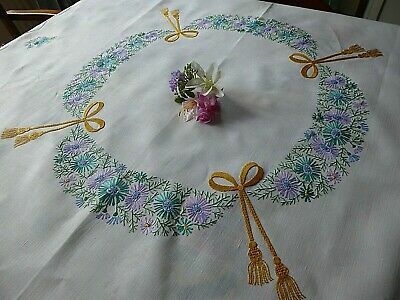 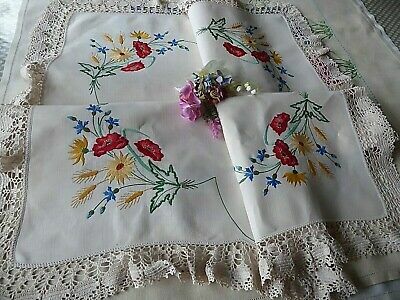 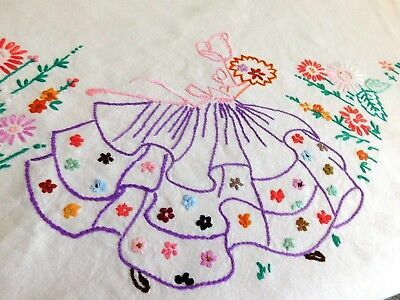 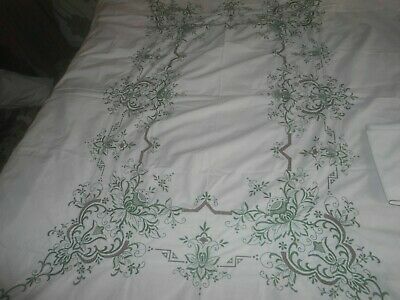 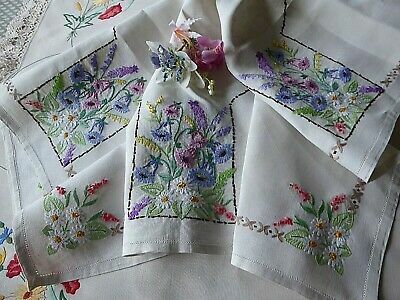 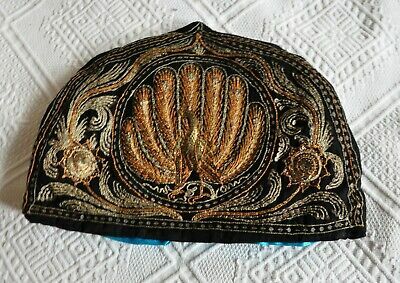 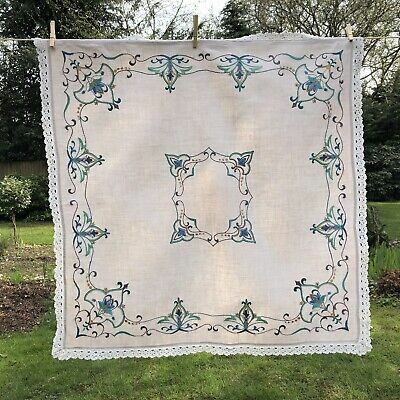 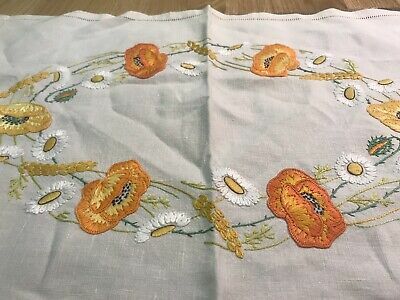 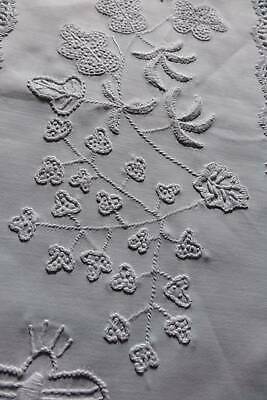 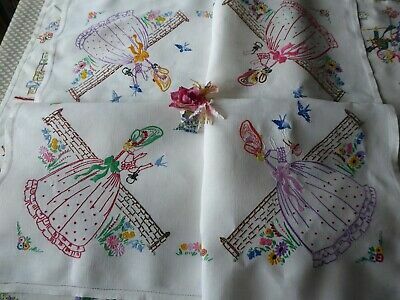 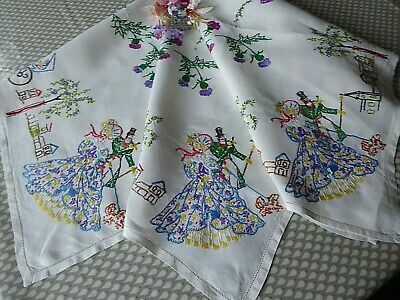 Vintage Hand Embroidered Crinoline Lady Linen Tablecloth 42" X 40.5"
Vintage Hand Embroidered Evening Bag 1950's. 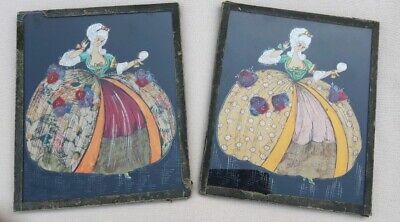 Dance Tickets Inside Dated 1958.